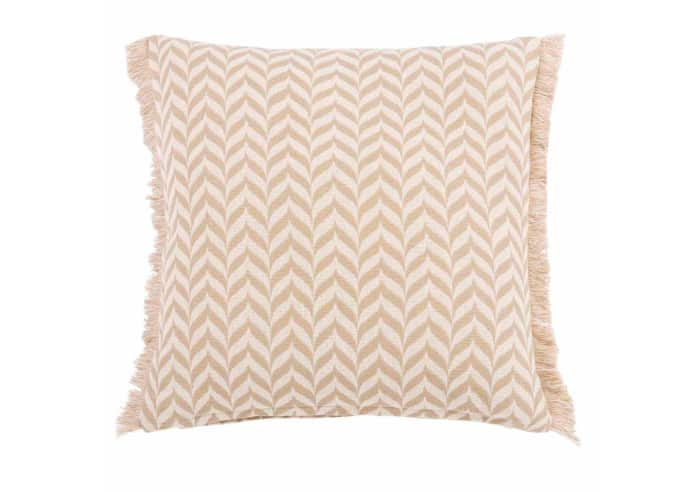 If there’s one thing that definitely holds for fringes, it is “more is more”! 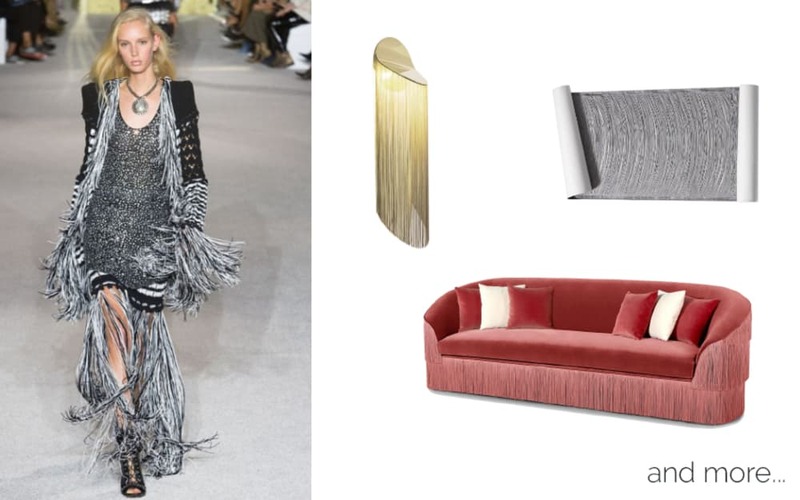 Fringes, both in fashion and at home, can take two different vibes: more sumptuous or more relaxed. So let’s see some examples of both in turn! The first identity of fringes is one that I like to call deluxe. 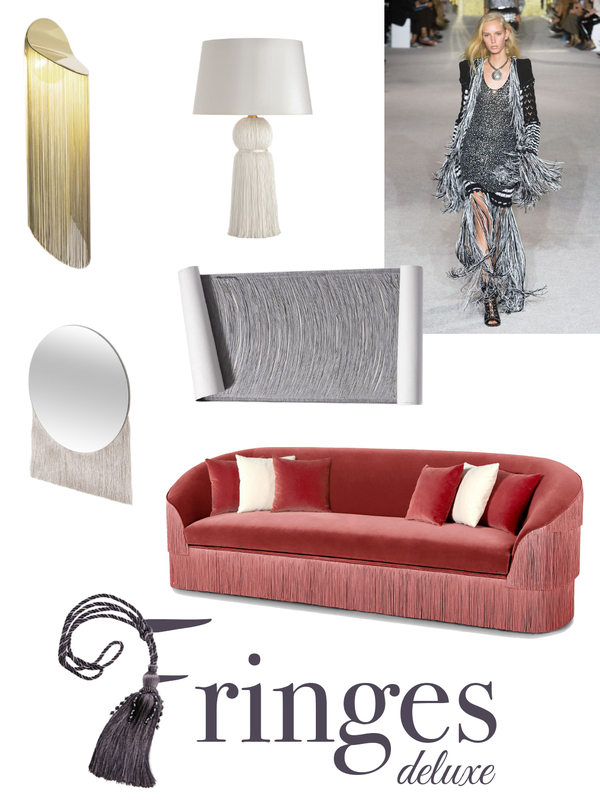 A rich cascade of fringes dresses up furniture and accessories, for a distinctively sumptuous effect. 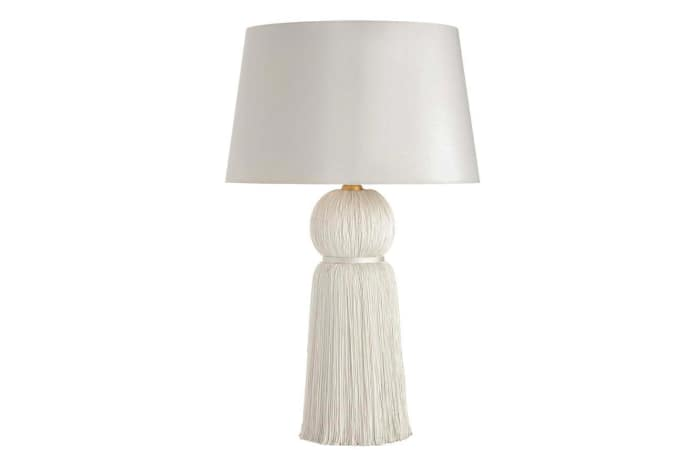 To start small, a tassel can already be enough of an accent to add a touch of new. To curtains for instance, with a tassel curtain tieback. 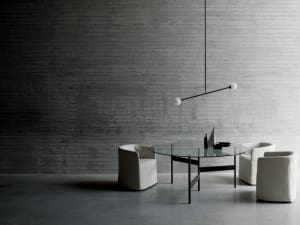 Definitely recalling a Charleston atmosphere, the Fringes sofa by Munna is a real triumph of fringes! Three fringed layers run across the whole back and the sides. 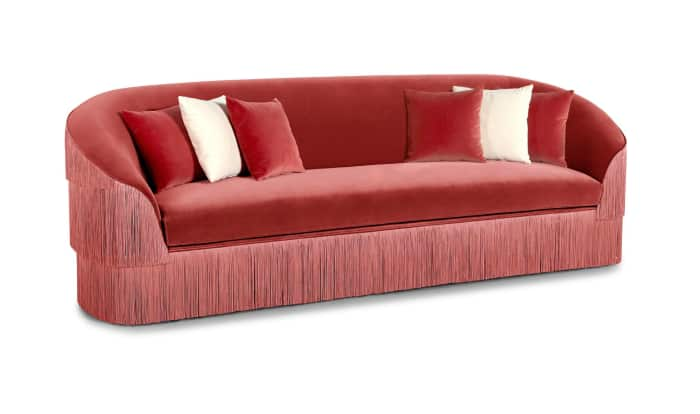 And with its velvet upholstery, it is a 100% trending piece for this year! 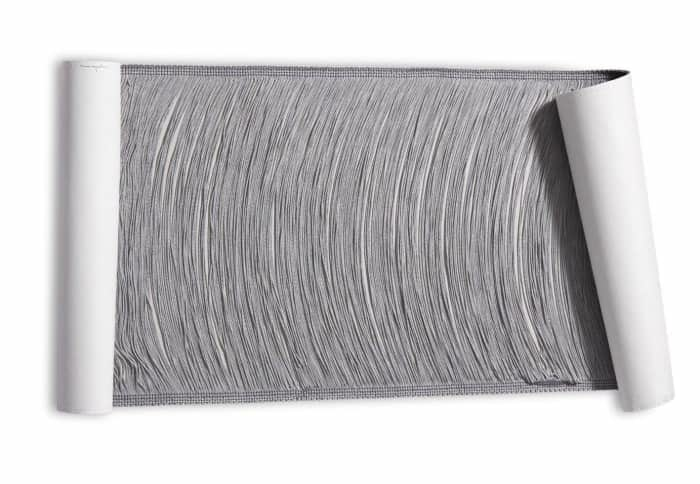 In Cé by D’armes, long metallic fringes cover the light source for a scenic diffused effect. 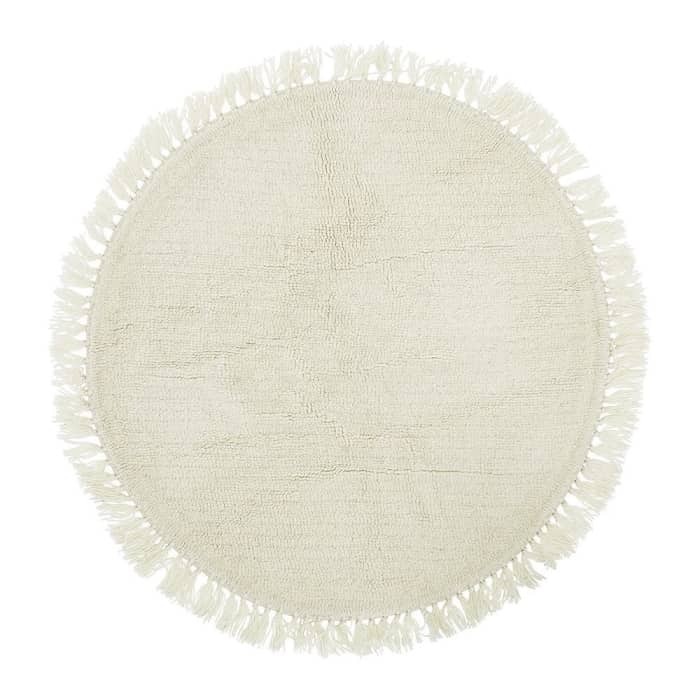 In this original table tamp instead, the base structure is covered by a huge tassel that is actually fabric. 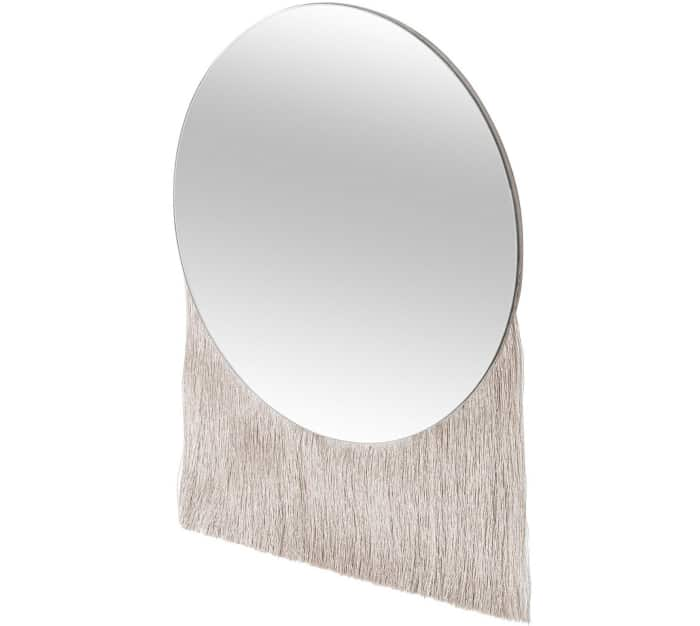 And fabric is also the fringe that falls from the bottom of the Nappa mirror by Oliver Bonas. 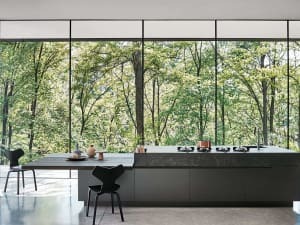 For a really, really, impressive result, take a look at this wallpaper! 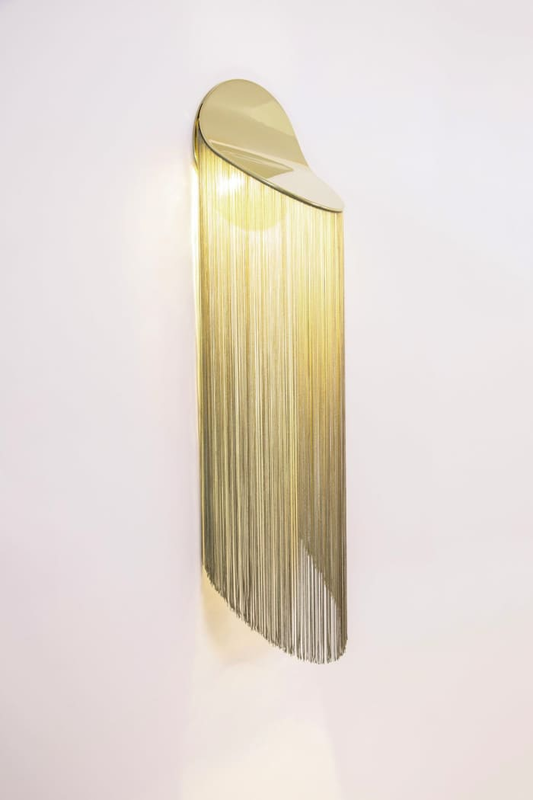 Designed by Tracy Kendall, it creates a unique swagging effect once installed on the wall. 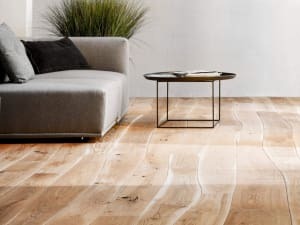 Definitely eye-catching! 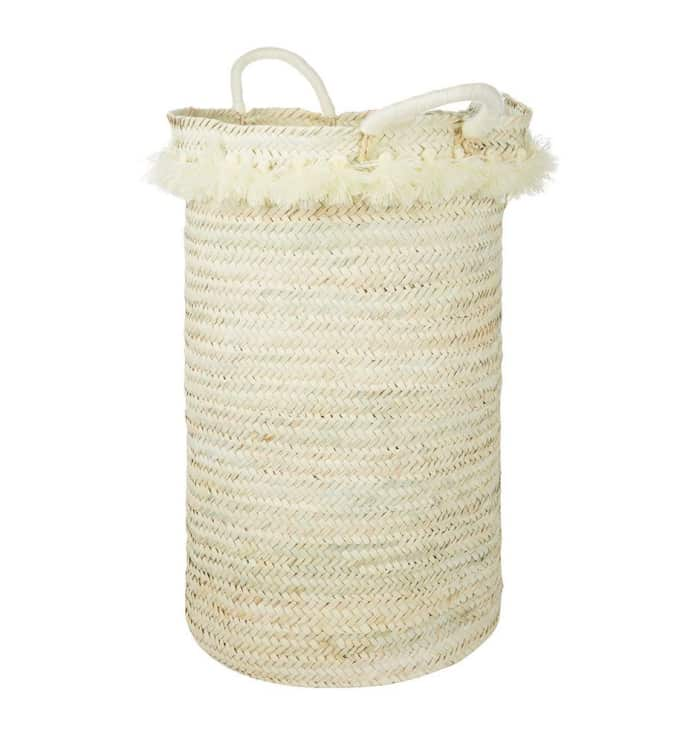 Fringes are also an essential ingredient of any bohemian style interior. Laid-back and somehow messy, they are an invitation to relax. 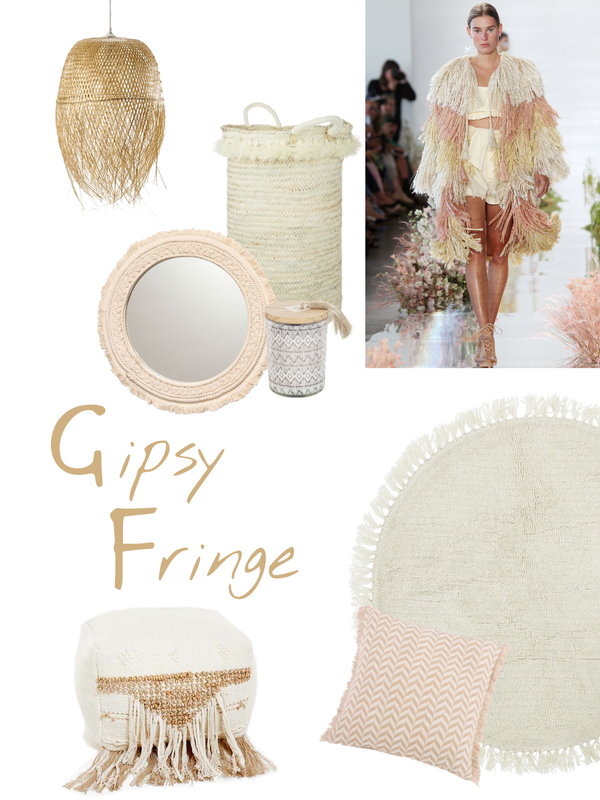 This gispy fringe-style is everywhere in the shops for this spring-summer. 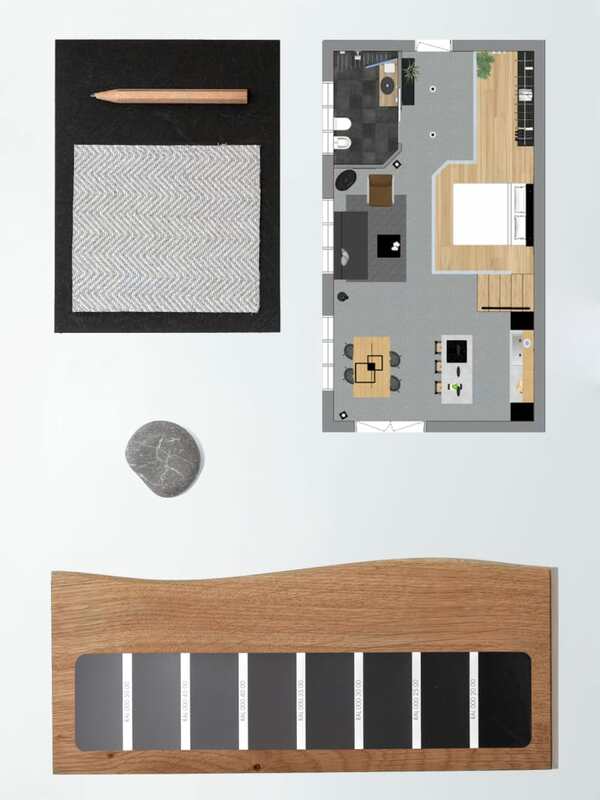 Starting with Maisons du Monde. 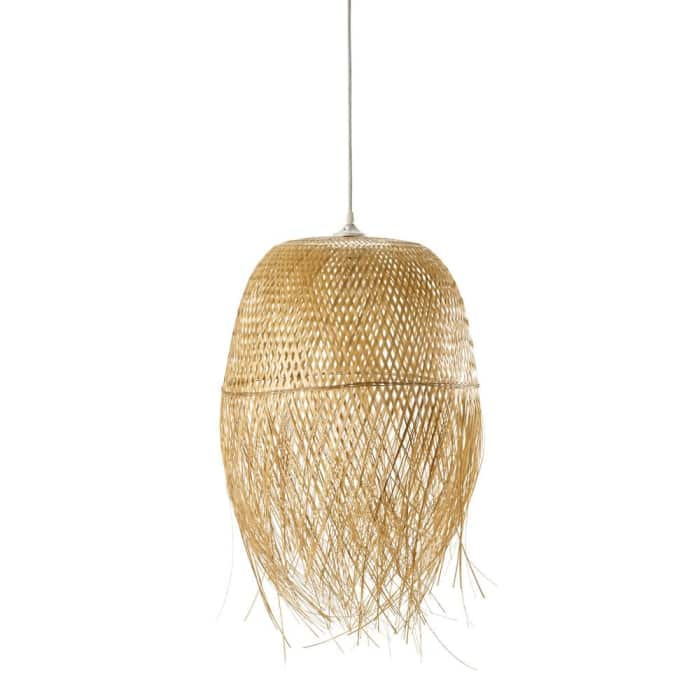 In their new collection Cabane, fringes are all around! 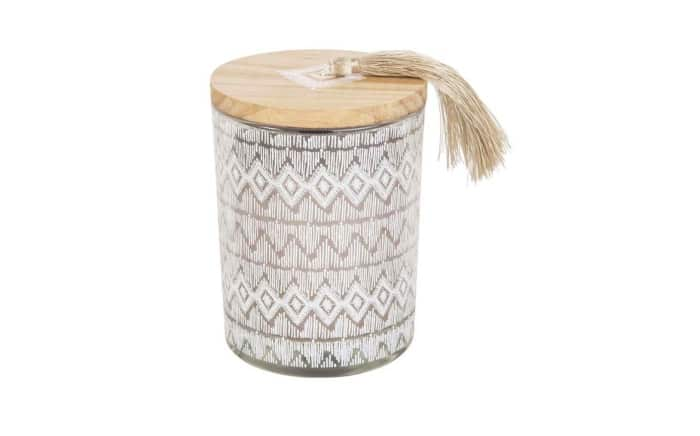 Again by Maisons du Monde is Panama, this bamboo suspension that looks like an unfinished basket. 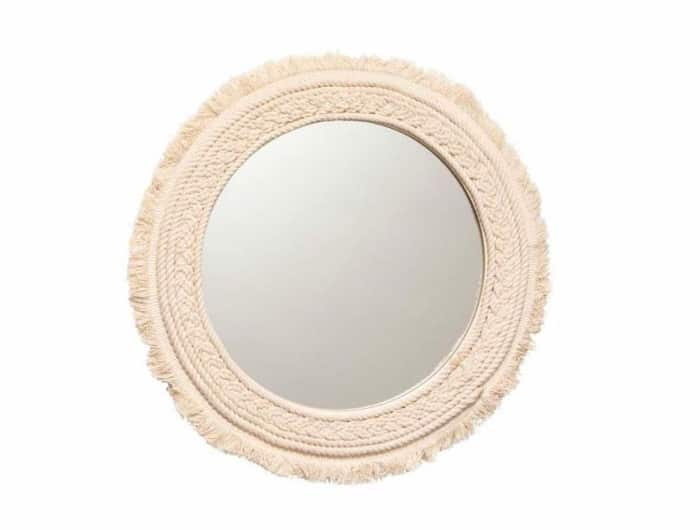 H&M Home also comes along with this bohemian fringed mirror. 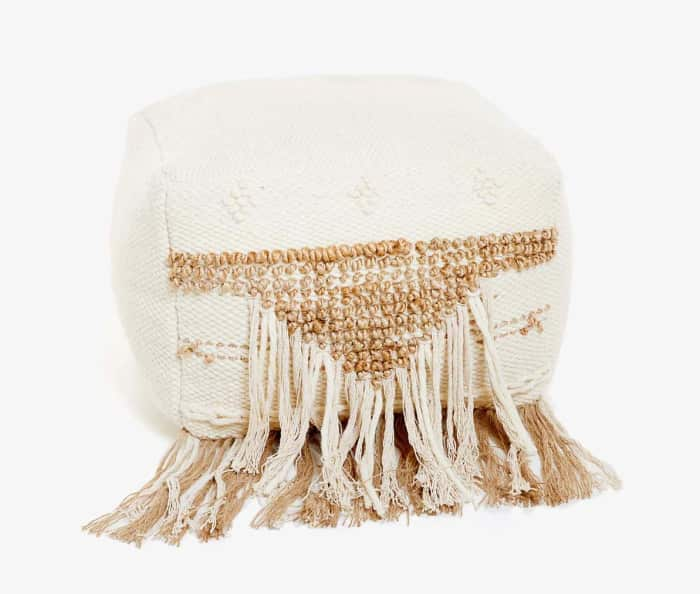 The combo woven basket + laid-back rug is a must in any bohemian space. Even better if they have fringes! 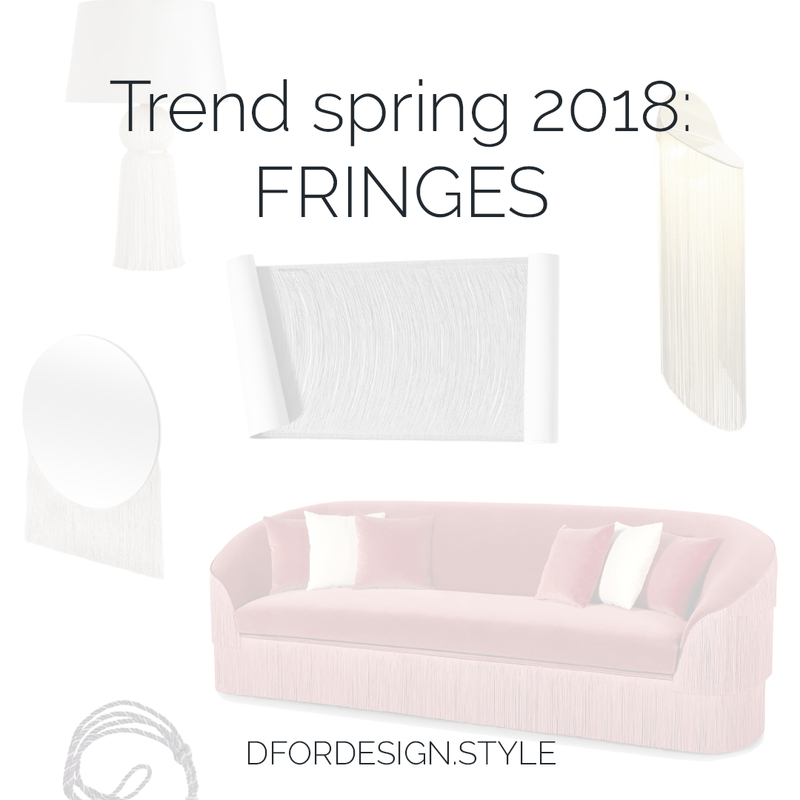 So what's your final verdict on fringes? Deluxe or gipsy?